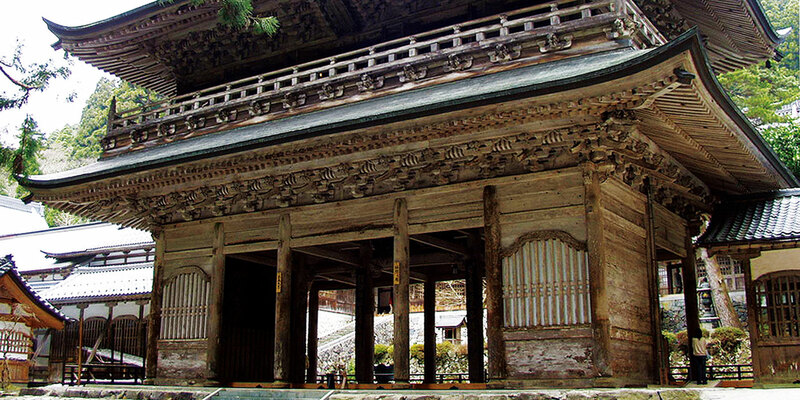 “Grand Head Temple Eiheiji Temple” is one of the most famous temples in Fukui. 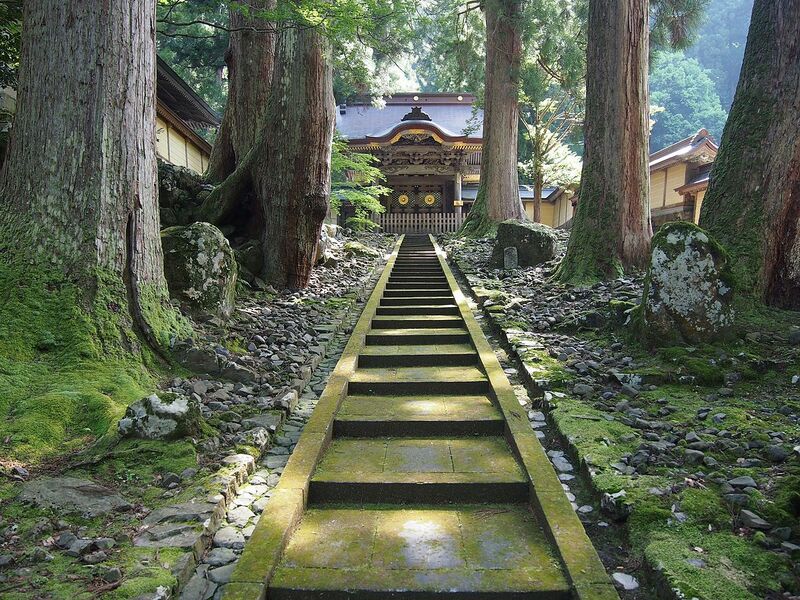 The temple buildings are lined up neatly in the deep forest created by the straightly-spreaded cedar. Step into precinct and you will feel a tense atmosphere. There is a world of silence. It was the beginning of 1244 when Dogen Zenji built the Great Buddha Temple. 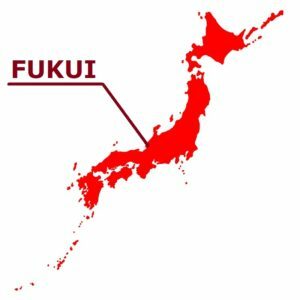 Two years later, it was renamed “Eiheiji Temple”. It is Daihonzan (head temples) of Sotoshu sect along with Soujiji Temple in Yokohama. This is the practice Zen meditation dojo, where about 200 unsui(s) (trainee monk) train on a daily basis. There are about 70 large and small temple buildings in the huge site of about 330,000 square meters. Among them, a sanmon gate (main gate), a buddha hall, a hatto (lecture hall), a sodo (meditation hall or building dedicated to zazen), a kuin (temple’s office or a kitchen), a tosu or a sei chin ( toilet) and a yokushitsu (bath) is called Shichidogaran (seven major structures in a temple compound), and it is an important place that can not be indispensable for Zen practice. 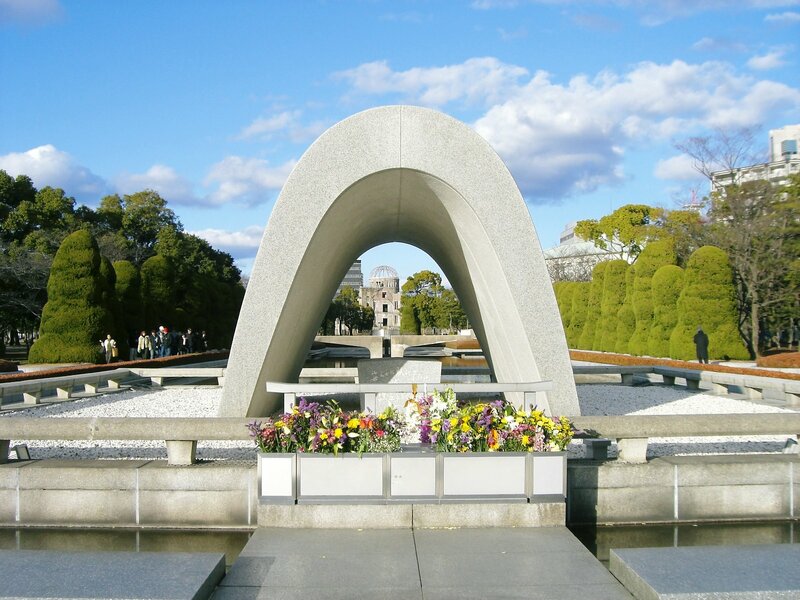 The lecture hall, the buddha hall, and the sanmon gate are vertically arranged, and the meditation hall and kitchen, and the toilet and bath are arranged symmetrically beautifully, and they are connected by a corridor. Snowy season Eiheiji Temple is like a world of ink painting. Many people would like to visit during the snow season, but since it may be closed in the event of heavy snow, it is advisable to check with the Eiheiji Temple or tourist information center just in case. The tour takes approximately one to one and a half hours. However, there are many steep stairs on the slope of the mountain, so you should take some time. In addition, as the tour paths in the hall are on the left and turn clockwise, please tour in the decided order. Don’t forget that it is a training place and stop whispering as well. 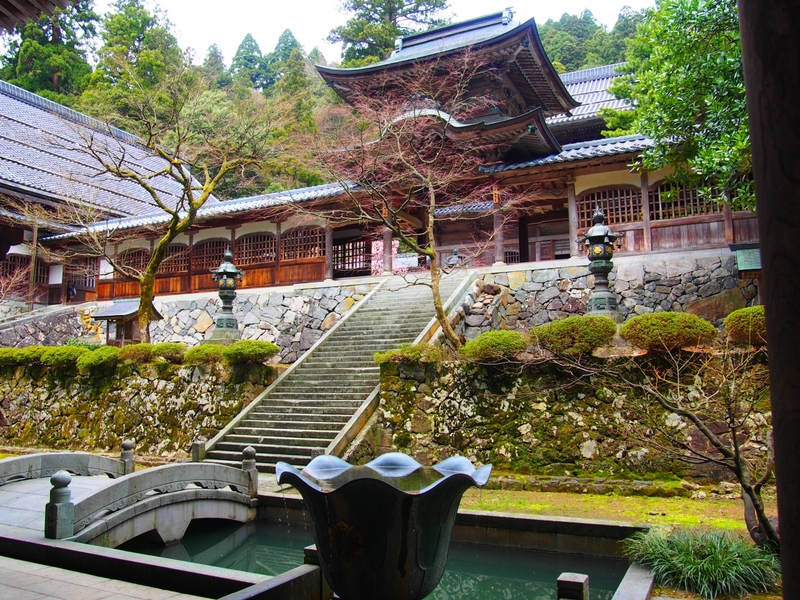 The “Grand Head Temple Eiheiji Temple” where many people visit for worship all year round is the temple of great attention from home and abroad, which was regarded as two stars by the travel guide “Michelin Green Guide Japon” issued in France. The “Soto Sect Grand Head Temple Eihei-ji Temple” is an exercise hall for whom forsakes the world and practices Zen meditation having been founded by Dogen Zenji in 1244 of about 770 years ago. Almost 200 of unsui (trainee monk) still continue training pursuing the truth in “Zen” among the cathedral built in the hillside. The center of teaching of “Zen” that Dogen taught is “Shikantaza” (do only meditation as much as possible). It seems that it is “enlightenment” itself that zazening is totally alone. Also, “teaching” which was finely set in everyday life, such as cleaning, eating and face washing, has been inherited without change for 770 years. Culture and nature that Eiheiji Temple has protected eventually penetrated into what symbolizes the landscape of Echizen and has supported this land. The large Buddhist temple of deep mountains and dark valleys, the bells on New Year’s Eve, a maigre dish, the faith of people who live in Monzen-machi (temple town), etc. 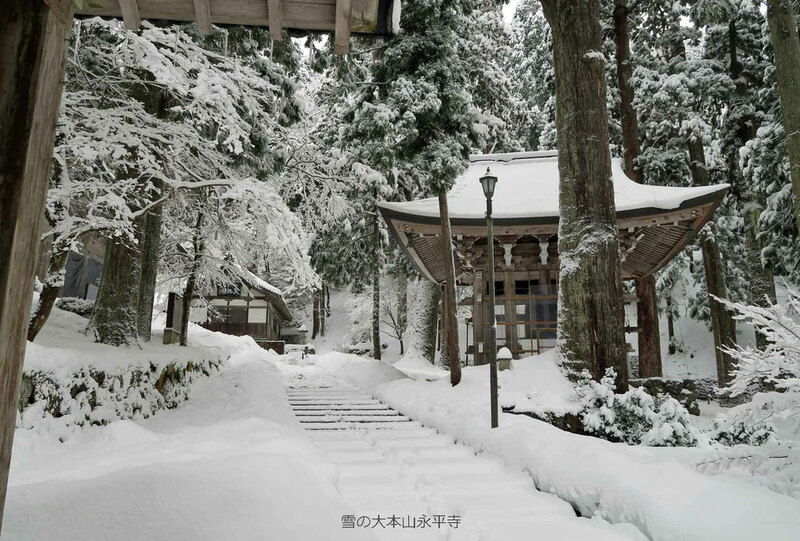 In winter, the Eiheiji Temple is covered with deep snow, and the precincts are covered with cold. Unsui who self-train in severe nature are forced a still severer life. 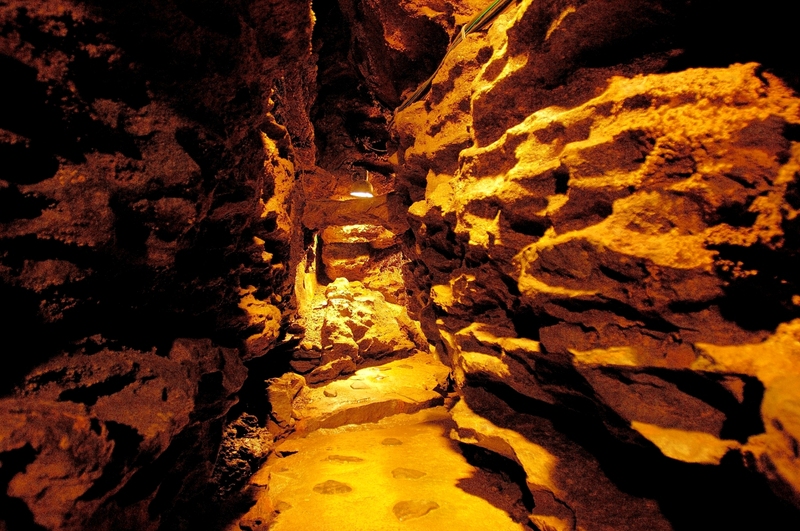 However, there is a warmth of the skin that stands out, and the landscape unique to Eiheiji Temple. 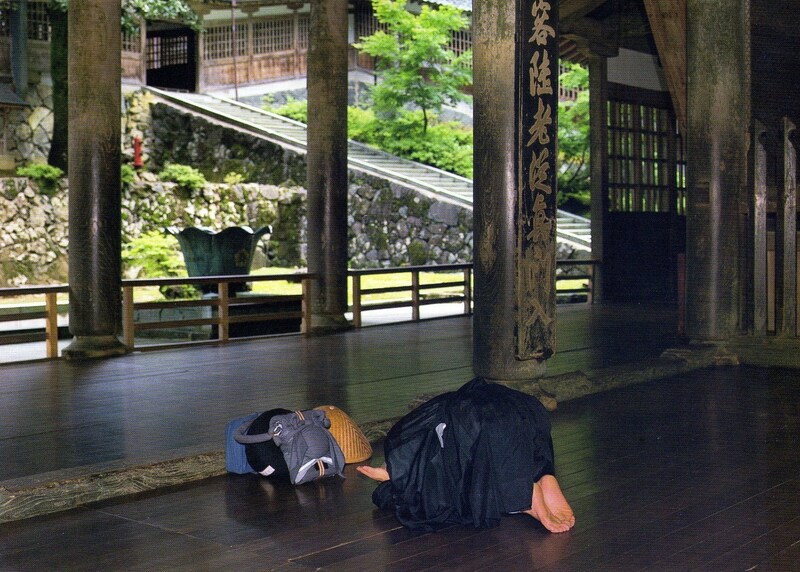 Furthermore, at Eiheiji Temple, ordinary people can experience lodging training. 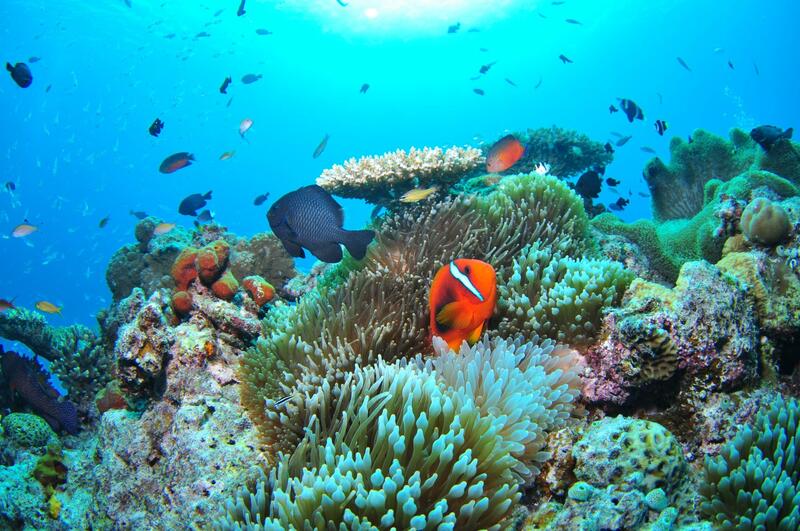 It is a special experience that you can not taste in normal sightseeing. There is a plan of “2 days and 1 night” and “4 days of 3 nights”, you can do the training life just like a monk. A participant’s capacities are ten men and ten women at a time. It is done about once a month. Reservation is only for phone booking.